As 10-year Treasury yields have climbed past 3%, investors have started seeing the impact on the equity sectors known for high dividends, such as utilities and real estate. The Dow Jones U.S. Real Estate Total Return Index (DJUSRET) has fallen 5.5% so far this year, while the S&P 500 Total Return Index (SPXT) added 1.5%. Does this mean real estate is a no-go zone now? Not if you know where to look, according to Burl East, portfolio manager of the $318 million Altegris/AACA Opportunistic Real Estate fund (RAAAX). In 2017, the fund outperformed 98% of its peers with a 23.6% return, according to Morningstar. The fund has a three-year annualized return of 8.9% compared to the peer group’s 2.4%. He thinks investing is like creating a recipe: Find the right ingredients and keep them the same. His favorite four ingredients: properties that are in constant demand; types of properties that are offered by just a few companies; high barriers to entry for new players; and high barriers to exit for tenants. East looks for real estate markets where landlords can demand higher prices because of low supply, and where tenants are essentially at a disadvantage. “We don’t invest in fair-fight; we look for something as close to a monopoly as possible where the tenant is denied choice,” says East. 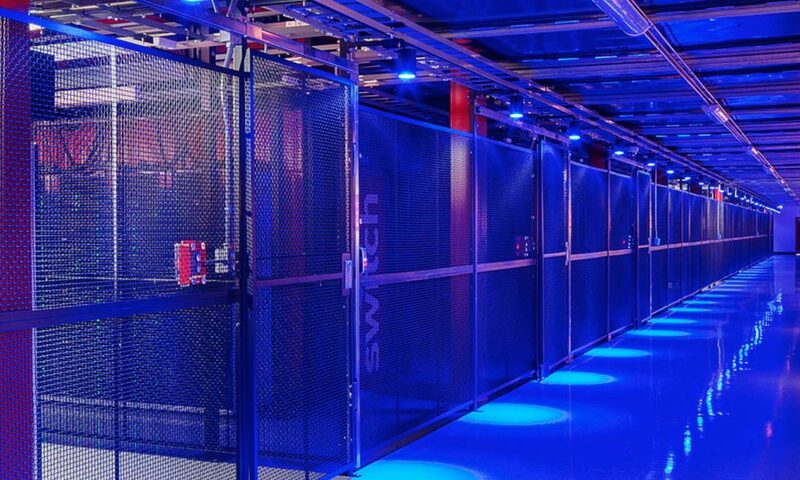 For example, data centers—the gigantic warehouses that hold vast numbers of computer servers that store, process, and distribute data. With booming technologies such as artificial intelligence, virtual reality, and machine learning, the world is seeing rapidly increasing demand for more data storage and stronger processing power. The Internet of Things (IoT)—interconnected smart devices that include AI assistants and autonomous cars—will also generate much more data than we could ever have imagined. The industry is also very much driven by trust and reliability. The last thing companies such as Facebook(FB) and Alphabet (GOOGL) or government agencies such as the Securities and Exchange Commission and Federal Bureau of Investigation want to see is a data breach. This makes it almost impossible for new companies with no established track record or reputation to break into the business. “We’ll keep the number [of participants] small, make sure that nobody else joins the club, and that existing members don’t overbuild,” East says. Another key part of the formula is the high cost if tenants to change their mind. Unlike an apartment or storefront, where tenants can simply move out when there’s a change in market dynamic or pricing, it’s very risky and expensive for companies to leave a data center given the amount of infrastructure investment there. To East, all these factors above make data centers a perfect investing opportunity in real estate, where landlords can easily control the supply and dictate the price. Data centers make up 22% of his fund’s portfolio. Other properties sharing the characteristics he likes include wireless towers (American Tower REIT (AMT), Crown Castle International (CCI), SBA Communications (SBAC), lab space, infrastructure facilities, toll bridges, and airports.